Works designed and created by members of the Crazy Quilters Guild will be on display in the Museum’s Community Gallery from November 11 through December 30. More than a dozen works explore the impact of color and geometry in styles, from the beloved traditional designs of pieced and applique quilts to the abstract and bold designs of the modern movement. 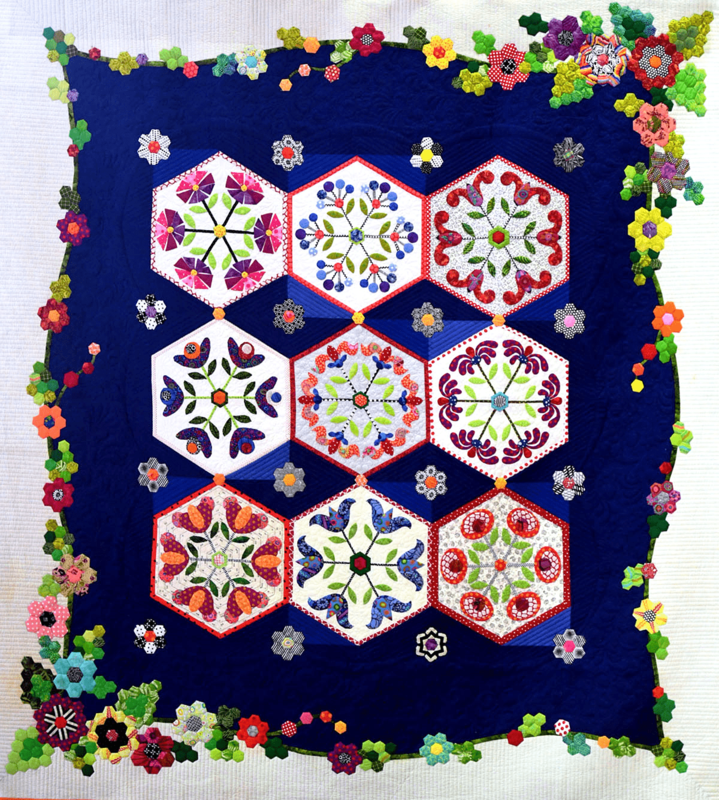 Members of the Guild will demonstrate hand-quilting techniques from 12 to 4 p.m. on opening day of the exhibit, November 11. Exhibit goers will also be able to choose and vote for their favorite quilt as part of the Viewer’s Choice Award. Admission to the Museum and all exhibitions and programs is free every Sunday thanks to generous support from City Center Allentown, the Gadomski Foundation, and the Sylvia Perkin Perpetual Charitable Trust. The Crazy Quiters works, which measure in size from that of a queen bed to that of a handkerchief, were submitted anonymously by Guild members and judged by an internal committee of the Guild for their workmanship and design. Also on view is the Guild’s 2018 Raffle Quilt, created, pieced and appliqued by several guild members and then heirloom-quilted by an award-winning guild quiltmaker. The Crazy Quilters Guild is a lively and creative organization of quilters at all levels of skills and expertise in the Lehigh Valley area, from beginners to award-winning quiltmakers. Monthly meetings offer an outstanding yearly lineup of lectures, classes, many from nationally known quilt artists, who offer new techniques and trend in the quilt industry. Information and community service projects as part of its mission to share the power of quilts. The Guild meets once a month in Emmaus and membership is open to interested persons. More information on the group is available at crazyquilters.org or on their Facebook page. Shown: Hanging Hexie Garden (detail), 89 in x 97 in (queen size), hand pieced and hand appliqued by Guild members, long-arm quilted by award-winning quilter Bethanne Nemesh.